bit of a long shot this one but does anyone recognise any of the faces in this photo? 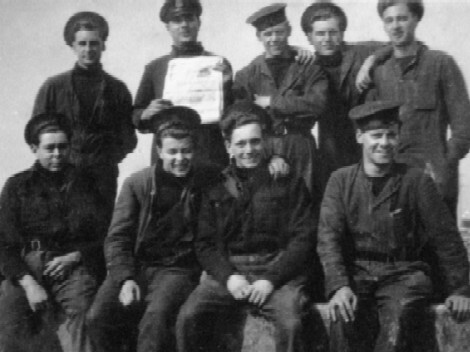 I am pretty sure it was taken on VE Day at HMS Beehive and the crew are from MTB 488. My Grandfather, CMM Belcher is the one holding the VE Day newspaper. If anyone seems familiar please get in touch. I can email a better photo if needed.